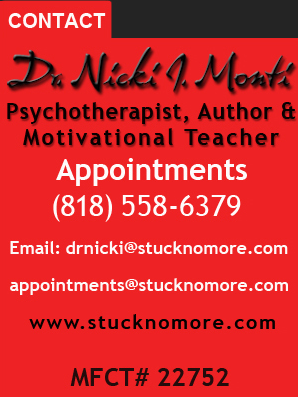 Welcome to the Stuck No More Podcast Radio Show starring Dr. Nicki J. Monti. Each month, on the first Tuesday of the month, Dr. Nicki interviews some of the most interesting, delightfully engaging and entertaining people on the Stuck No More Podcast. 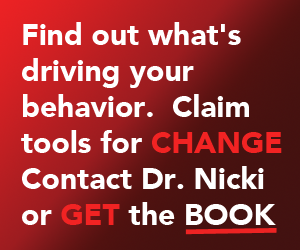 Beyond being a remarkable psychotherapist and teacher, Dr. Nicki is a great interviewer who asks the hard hitting questions that create provocative, instructional conversations between the host and her guest. All of the Stuck No More Radio Show Podcasts are available live when recorded on the first Tuesday of the month, on healthylife.net and the archived podcasts are posted here, on iTunes and other podcast outlets. If you are interested in being a guest on the Stuck No More Podcast Radio Show starring Dr. Nicki J. Monti or interested in advertising packages, please contact us at podcast@stucknomore.com . Advertising spaces are limited and subject to availability. Dr. Nicki will be taking the Stuck No More Radio Show Podcast starring Dr. Nicki on the road starting early 2014. Sign up for our newsletter for details. Through the Dark Forest with guest Carolyn Conger, PhD.